The California Supreme Court is considering a precedent-setting case to protect the right of schoolchildren with diabetes to receive care from licensed professionals. The court will determine whether other school employees, rather than licensed nurses, should administer insulin in schools to students with diabetes. This case is critical to ensuring that children with diabetes and other conditions that require health care services to participate in school receive the safe and professional care promised to them by law. For a decade, the Legislature has rejected bills to allow unlicensed school employees to administer insulin. Proponents of the bills eventually abandoned the democratic process and attempted to implement their preferred approach through a directive from the California Department of Education. In response, the American Nurses Association (ANA) went to court to enforce the law and protect school children. The ANA has contended throughout this case that students’ right to public education and to receive the health care services to which they are entitled at school must be met by the CDE, but without lowering the standard of care or violating the state’s Nursing Practice Act. California courts twice have agreed with the ANA, affirming in decisive rulings that state law requires licensed health care professionals to administer insulin in schools. The American Diabetes Association appealed to the California Supreme Court, claiming that California’s budget woes create obstacles to schools’ obligation to meet federal requirements to educate those with disabilities. Overturning these court rulings will have alarming and far-reaching implications. California’s Nursing Practice Act, designed to protect the public, prohibits unlicensed personnel from administering insulin in institutional settings. The law does allow parents, students deemed old enough for self-care, and parent designees to administer insulin. If the law changes, already overburdened and short-staffed schools will need to find workers to administer insulin to children. Insulin is considered a high-risk medication – the wrong dose can be fatal. In hospitals and other institutional settings, another nurse must confirm an insulin dosage before it’s given to a patient. It would be seen as outrageous if hospitals were to abandon those rules because budgets are tight. It is outrageous for California to do that in our schools. Cost or convenience is no reason to lower standards of care, particularly for young and vulnerable patients. It is true that more nurses are needed in our schools, but that is a result of budget shortfalls and policy decisions, not because of a lack of available nurses. There is no shortage of registered nurses in California to provide health care in schools; rather, school districts have cut many school nurse positions in a quest to balance district budgets. It is irresponsible for California to cut corners and blame it on budgets, especially when cutting corners could have a devastating impact on children. Licensed nurses have consistent education, protocols, standards and experience. They are competent and legally qualified to manage a child’s treatment plan and initiate emergency procedures if the child’s condition requires it. Unlicensed school personnel such as school secretaries, teachers and others do not have the training and competencies to provide nursing care to students. Several groups support the ANA’s position on this case, including the California Teachers Association, the American Federation of Teachers, and the California School Employees Association, which represents office secretaries, custodians and teachers’ assistants. These groups know that forcing already overworked educators and support staff to shoulder a new life-or-death responsibility would be devastating and dangerous. A University of Iowa survey of school nurses revealed that medication errors are three times more likely when unlicensed personnel administer medicines instead of a school nurse. If the California Supreme Court does not uphold the lower courts’ decisions, it would be the first time in the nation that any state health care licensing law has been preempted by federal disability law. It would set a perilous precedent, and it would discriminate against children with diabetes. We hope the State of California will do the right thing by protecting children instead of putting them in harm’s way – and allow the rule of law to prevail. 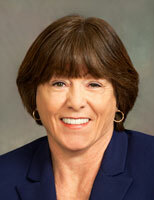 Karen A. Daley, PhD, RN, FAAN, is president of the American Nurses Association. 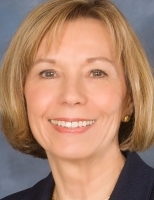 Linda Davis-Alldritt, MA, BSN, RN, FNASN, FASHA, is president of the National Association of School Nurses. Right there is where we have a huge problem right now that this could potentially fix. Under current regulations, a 5 year old could technically give himself his own insulin, in fact, in the absence of a nurse, if his parents or friend are unavailable this is the only option. I find it hard to believe that supposedly educated people honestly think that a trained unlicensed employee is a bigger risk to give insulin than a child with high blood sugar (which often blurs vision and impairs judgement). Insulin is one thing, but I have a student who gets IV antibiotics through a PICC line, who’s going to do that when the school nurses are gone? We are getting more medically fragile students every year. All of you that question the need for nurses or need to have someone else trained to give insulin to diabetic children clearly do not understand diabetes. Our children with diabetes are often young, say age 5 when diagnosed. To properly calculate insulin dosages, our kids would Need to know division and subtraction proficiently at 5. Did your child know math that advanced so young. We send our children to school worrying everyday if they will be helped. Our children didnot ask to be diabetic, they do not like 8 to 10 shots a day of insulin. So ask yourself,if my child was diabetic, would I want trained personnel supervising their care. Otis so easy to question when it does not directly impact your child. Certainly no five year old should be self-administering medication. I hope we are clear on that. However, if it is a task that the child has been taught to do, or that a parent has been taught to do, then I would respectfully suggest that an RN may not be needed every single time. My objection is not to having nurses. My concern is that creating a regulation may not always allow people to do the right thing on the ground. If the rule is that an RN must give the shot, and your child arrives and eats breakfast, and needs a shot, but the one and only RN is sitting next to her wrecked car 10 miles away, what do you want to happen? Should the child not get the shot because no one else is trained? Do you want to be called at work to come administer a shot as soon as you can get back to the school? And what is necessary for your 5 year old is not perhaps how it needs to be done for that same child when he is 15. I’m a believer in school nurses. My concern is that I’ve seen that forcing medication thorough a single person in the office sometimes leads to kids not getting the medication they need when they need it, and that flexibility that accounts for the individual child’s level of competence and responsibility, and the parent’s preferences and availability, is worth preserving. I think it’s terrible that we’ve done away with school nurses, but I tend to agree with Paul that this is a strange place to choose to litigate, with a medication that kids are taught to give to themselves. Giving an injection is a skill, for sure, but it is a skill that does not need RN credentials per se, and squabbling about who has permission to give an urgent medication when the medication is needed on an urgent basis seems to me to be shortsighted. Ideally, there should be MULTIPLE people on staff with the ability to handle such an occasion – there is always risk that if there is only one (over)qualified staff member able to do it, that that person may not be available or accessible immediately. And I second Paul’s comment about asthma inhalers. It is nuts that an asthmatic child can be asked to run a mile and a half for PE and not have an inhaler immediately at hand. NUTS. Freaking insane. Which actually leads me to another sort of tangential question. Why is it that a child has to have medical clearance to play a sport but not to do PE – PE that is at least as physically strenuous and significantly less voluntary? I feel that it is important to mention that some of the biggest supporters of allowing unlicensed personnel to give insulin to diabetic students include the American Academy of Pediatrics, the American Association of Clinical Endocrinologists and the American Association of Diabetes Educators. This lawsuit is not about allowing just anyone to give insulin at a school, and no, a substitute teacher would not be in a position to do give a diabetic child medication. What parents and advocates like myself would like to be able to do is TRAIN several people at a school site (appx 6) who have been asked and have every right to decline, to give insulin to our diabetic child if necessary. Many nurses do not receive continuing education on diabetes treatment and lack education also, a title before your name doesn’t guarantee knowledge or my child’s safety. We don’t want to get rid of nurses, we just want the ability and right to provide backup care for our children so they will be safe at school. Nurses (part-time traveling ones) and teachers in the schools my kids attended administer first aid, and the Wellness Center (funded by the city of San Francisco Department of Children, Youth & Their Families) at my kids’ high school alma mater does. Maybe either our district is devil-may-care about such things or yours is ultra-fussbudgety, Navigio? Presumably it’s not the same district. No its not the same district. In ours, the ‘nurse’ can’t even apply antiseptic (even though I hear that is passe now anyway). Most districts seem to have a ‘process’ that needs to be followed in the event of injury. Perhaps the most important thing to learn out of all of that is that a parent should really understand what that process is, and make sure their contact info is current if that is an important factor in the process itself (in our district it can mean the difference between staying in school and being transported to the hospital by paramedics). Keeping that info current is a constant, and rarely winning battle, for our district anyway. Btw, I just wanted to point out that the reason we may have done away with nurses in public schools is that no one is allowed to administer first aid without the parent’s consent. And if the injury is severe enough, and the parents are not accessible, the next step is to call 911. Ironically, paramedics are not allowed to treat either unless the injury is life-threatening so that just usually results in transport to a hospital. I went on a field trip this year to a local fire station and the map they had on the wall was from the mid-70s. The name of our school (which is about 4 blocks away) was different back then. Even worse, I happened to be in a school office when 911 was being called and the office person who was on the phone did not know the cross street for the school. Thank you Paul and Navigio for your comments. The issue that was heard in the State Supreme Court is about the safety of students with diabetes. Children with diabetes who are in school, deserve the same level of care that all members of the public are guaranteed by state nursing and medical practice laws. Insulin is a high risk medication and can cause long-term physical damage and even death if given inappropriately or in the wrong dosage. Consequently, most hospital policies require that prior to the administration of insulin, two registered nurses must check the insulin dosage. Yet in the school setting, an advisory from the state education agency, which triggered the court case, stated that unlicensed school personnel could administer insulin if no school nurse were available. For school nurses, whose focus is to keep children healthy, safe, in school, and ready to learn, the advisory is a public safety and practice concern. California law supports self-management of diabetes in school. Education Code 49414.5, permits a student with diabetes to self-manage his/her condition during the school day, as long as the parent/guardian agrees and a health care provider authorizes the self-management. Even before this law was in place, a goal for school nurses has been, and is, to teach students to become independent in the management of their condition/disease as soon as the student is able to master the skills and techniques related to safe and effective self-management. There are of course very young children with diabetes in our schools as well as students with special needs who also have diabetes, and students who are newly diagnosed with diabetes, who will, or may, need to have help with administering needed medication. In our schools, students who need help can receive it from several categories of individuals who are legally authorized by state law to do so, including a parent, guardian, other family member, family friend (someone who knows the child well), or a licensed healthcare professional. As a substitute teacher, my husband would be in the possible position of administering insulin shots (probably with no training) to students he didn’t know (in situations, as others have noted, of very young children or children with disabilities). I just have to wonder if parents of diabetic children in high-end private schools would be fine with that situation. Of course not. But unfortunately the bar is not set at what we think children actually need, rather its set at what’s politically realistic to give them. While I recognize the professional authority and competence of registered nurses, this is a misguided campaign to find an absolute justification for school nurse positions. There are many good reasons to preserve school nursing services. Administering medications that most students already self-administer outside school is NOT a good reason. I was using my own asthma inhaler by third-grade, everywhere except at school, where it was kept in the office. That was a ridiculous arrangement for a drug meant to be used when symptoms occurr (mine was not a preventative with a set dosing schedule). An inhaler in the office doesn’t do much good when you’re outside running laps for P.E. My sister was diagnosed with Type I diabetes at age 12. Her doctors taught her to inject her own insulin and test her own blood sugar, which she has done safely, twice a day, ever since. My cousin, also diabetic, learned at age 10. Should school have been the only place where they couldn’t administer their own insulin and check their blood sugar independently? Making children partners in their own medical care empowers them. Independence probably improves health outcomes. Only very young children, or those with exceptional needs, require assistance with medication at school (for which nursing service should of course be provided). Over the past few decades, laws have changed to allow professionals closer to the patient — or even the patient herself — to provide care. Midwives and nurse practitioners are legally sanctioned today. Pharmacists, and trained outreach workers in community facilities, collect specimens for health tests. In some Canadian provinces, pharmacists are legally authorized to adjust prescriptions. Some rather significant tests can now be done at home. For example, home HIV tests have been on the market for over a decade, and are now in their third generation. School nurses should justify their jobs on the basis of unique competencies and service offerings, such as individual patient education; schoolwide screening, vaccination, and health education campaigns; and first response. btw, I think this article misses the point that we dont necessarily even have (registered) nurses in our schools anymore. You’re right that many schools operate without nurses now. I’ve seen no service (position left unfilled) in a few schools, and itinerant or part-time service in others. Most recently, I taught in a district that still had full-time school nurses, which came as a surprise to me. I always used to joke that parents and guests should park in the “school nurse” space, there being no more school nurses! I think that we should have school nurses, but for reasons completely different than administering routine medications. On a separate note, when has California reduced teaching qualifications? in fact, even in schools where the position is filled, its often not with a registered nurse. I think ‘health clerk’ is the current euphemism.